My sister continues, “This is crazy, people are talking about nothing else on Facebook, just that Osama has been killed and now people are arguing about how they feel about it.” I told her that I thought Osama was dead a long time ago and it didn’t really make a difference to me. My daughter chimes in “How can you not care about the President!” No baby, the President is just fine, OSAMA, not Obama, is dead.” I reply. “President Obama is fine, baby, go back to sleep.” And she does. I am kind of glad he is gone, Osama that is. If he did truly mastermind those terrible attacks from his cave on 9/11 then the world is better off without him. The world is better off without sickos that think killing another human being and taking lives should be taken lightly. That killing innocent people for the purpose of furthering your political agenda or expressing your absurd religious fanatical ideology is acceptable. Then I turn on the TV because now I cannot sleep and all I see is a bunch of college-aged kids cheering like their team just won the super bowl. Sure, be proud of your country, always, but how do you appropriately celebrate a death of someone so terrible? Celebrating and death don’t mesh well for me. Why not just put people’s heads on sticks and march around in loin cloths like barbarians? I will just hope that this is the closing of a chapter and a small relief for those who lost someone on that terrible morning 10 years ago. 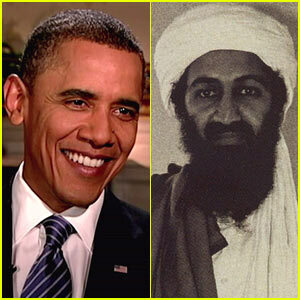 So long Osama, and thank you Obama, and please no more drama. This entry was posted in Everything else, Politics, Uncategorized and tagged death, drama, kids, life, mama, News, Obama, Osama, Osama Bin Ladin, Politics. Bookmark the permalink.